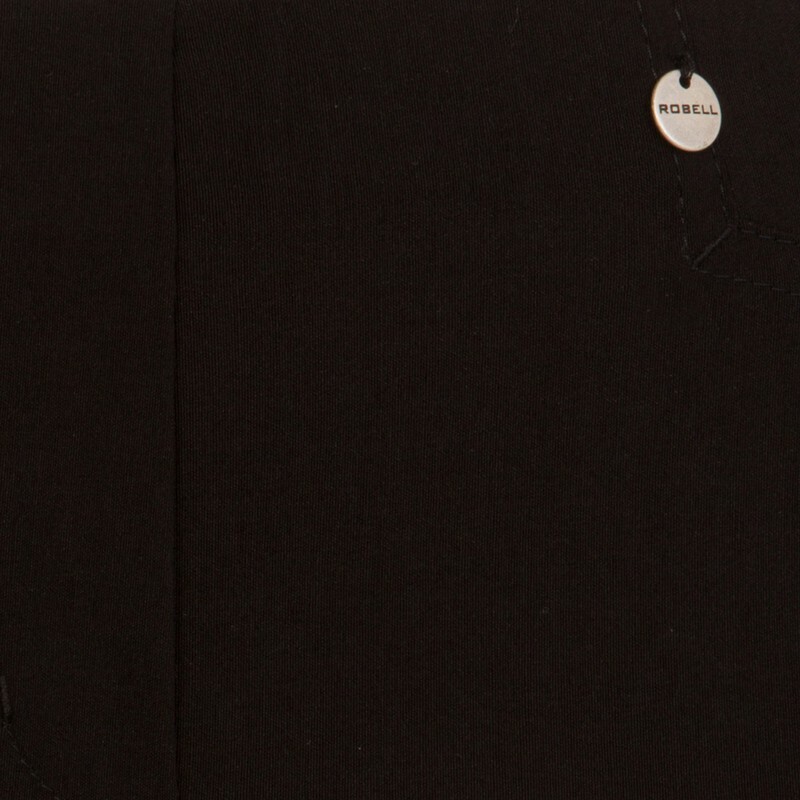 FREE UK delivery on Robell trousers (excludes sale items). 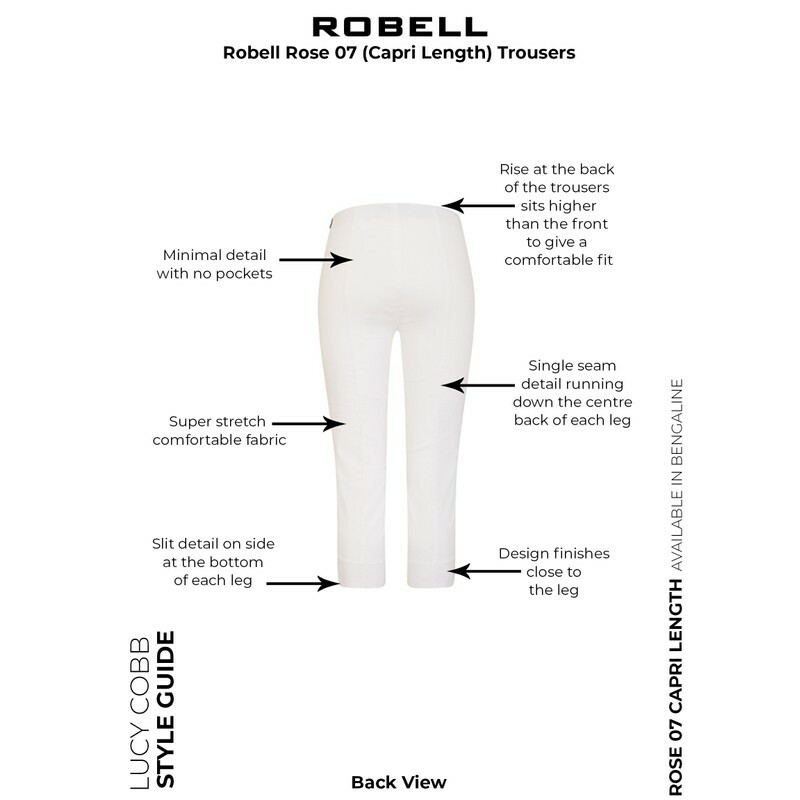 Robell Rose 07 capri trousers are an essential style in any summer wardrobe. 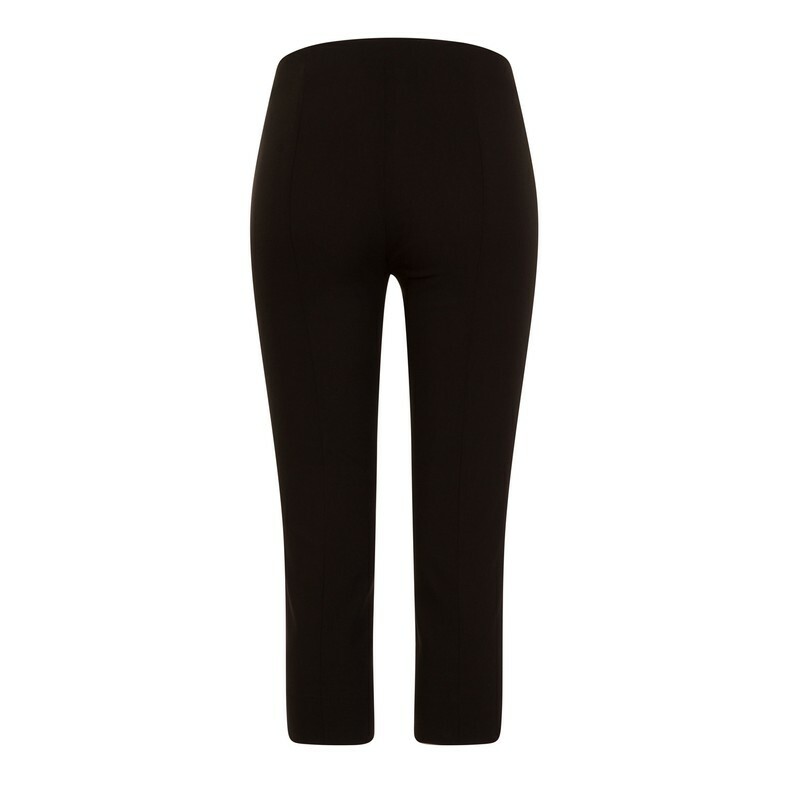 Versatile and easy to wear, Rose 07 trousers are available in an array of core and seasonal colours. The slim fit and pull-up design makes these trousers super flattering whilst the stretch bengaline fabric means they are extra comfortable. The smooth waistband is perfect for wearing under your favourite tops and the capri length with seam detail running down the back of the leg creates a modern and stylish shape. ​Rose 07 capri trousers are a neat fit. We recommend trying your usual trouser size or if your prefer a slightly looser fit go one size up. 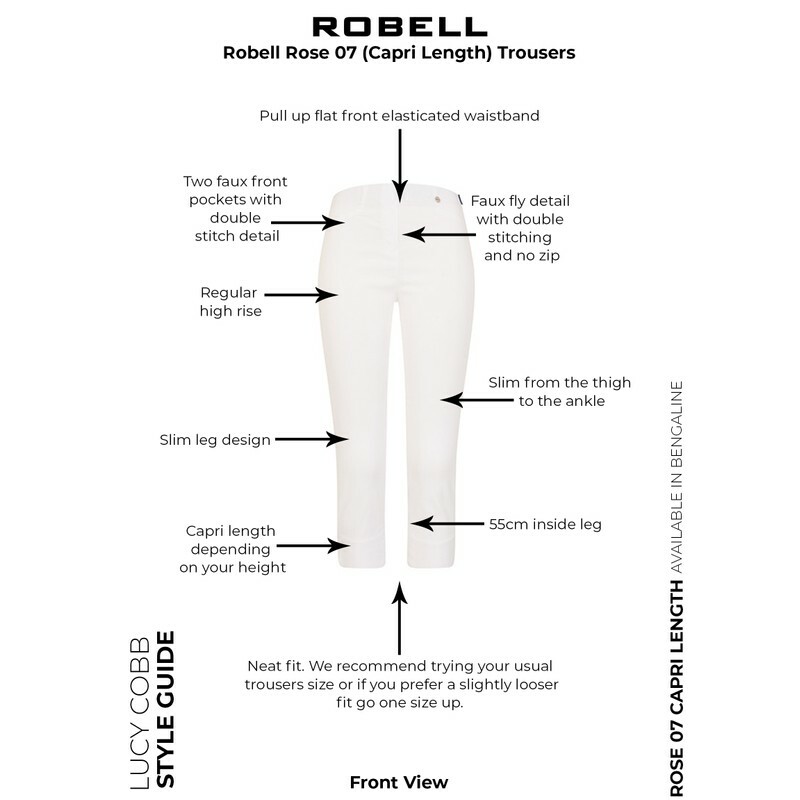 Robell Rose are a super slim leg trouser. They feature a flat elasticated pull-up waistband with two faux front pockets and no back pockets. They also feature seam detailing that runs down the back of the leg and a small vent on the hem for a stylish touch. 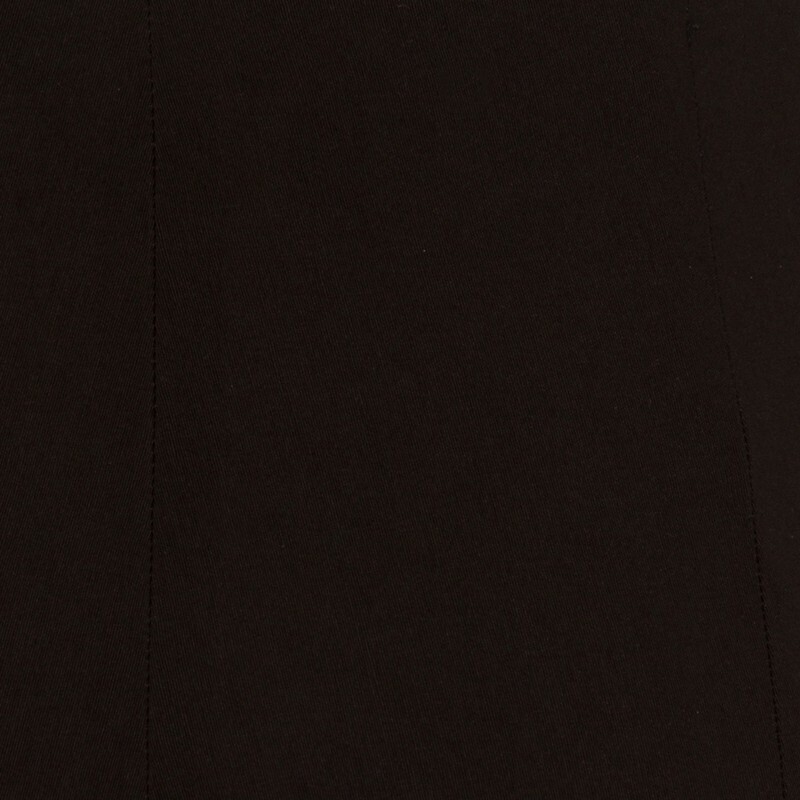 Rose is a super slim trouser which is true to size, we recommend trying your usual size. 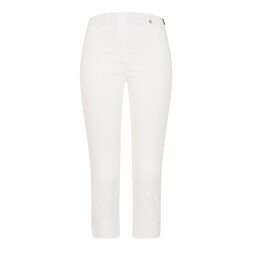 Recently purchased 2 pairs of Robell trousers - just love them, great fit and quality! Ordered and received them a couple of days later, fabulous service, thank you. Will definitely be back to purchase more Thank you! First class service from Lucy Cobb. I ordered a gorgeous Deck Kerrie dress and it was despatched on the same day! Can’t ask for better than that!